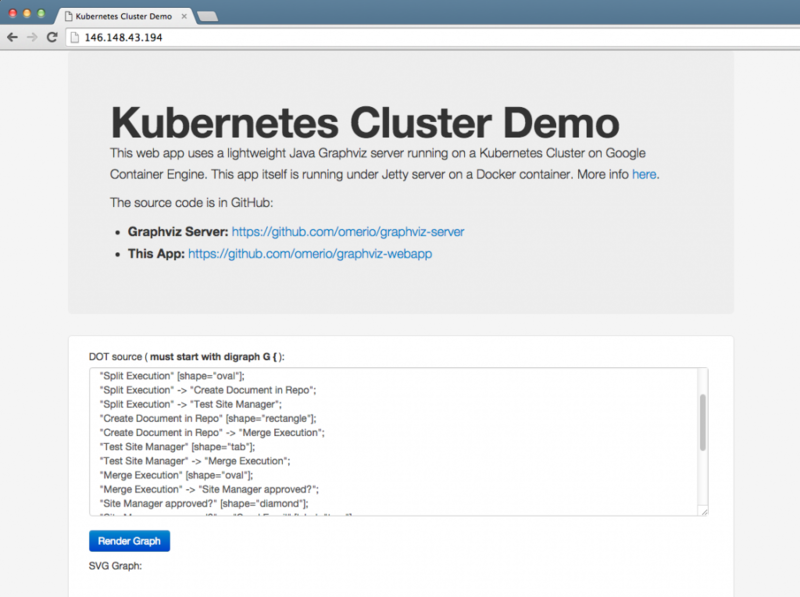 This post will provide a hands-on introduction to using Kubernetes on Google Container Engine. 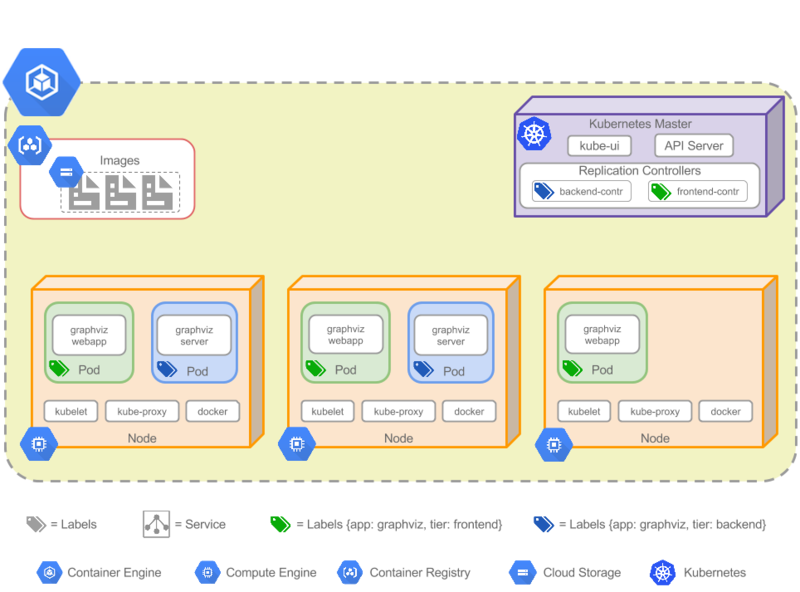 This post is a followup from my previous post on understanding the key concepts of Kubernetes. A quick introduction to the web app we are deploying. 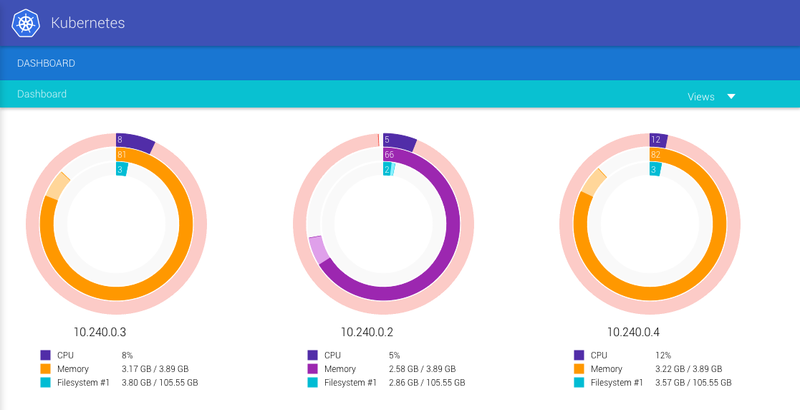 How to create a Kubernetes cluster on Google Container Engine. Deploying containers and Pods using Replication Controllers. Testing the functionality of Services. All the step covered in this post are also in this YouTube video if you prefer watching instead. 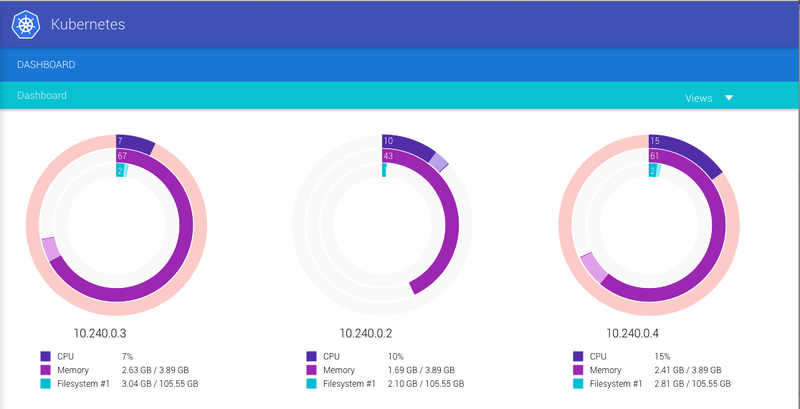 The end game is to have a cluster like this running on Google Container Engine. Don’t worry about the details for now, we will go through building up the cluster gradually in this post until we get to this final state. 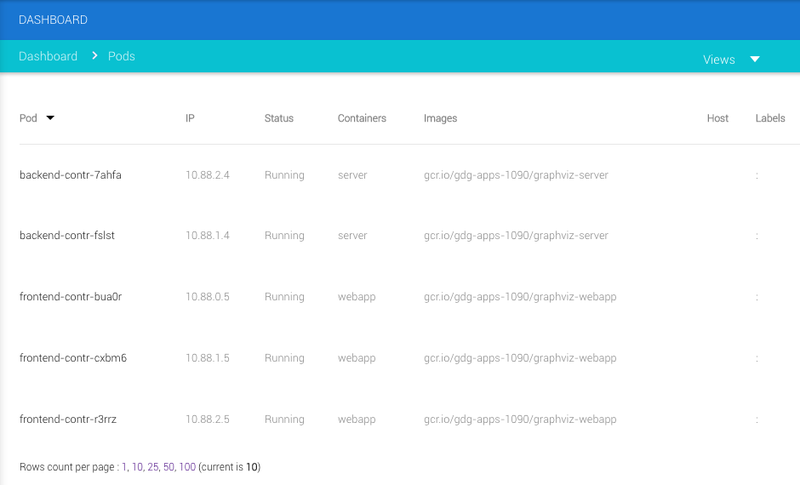 The cluster has three frontend containers running the Jetty server with a simple web application. 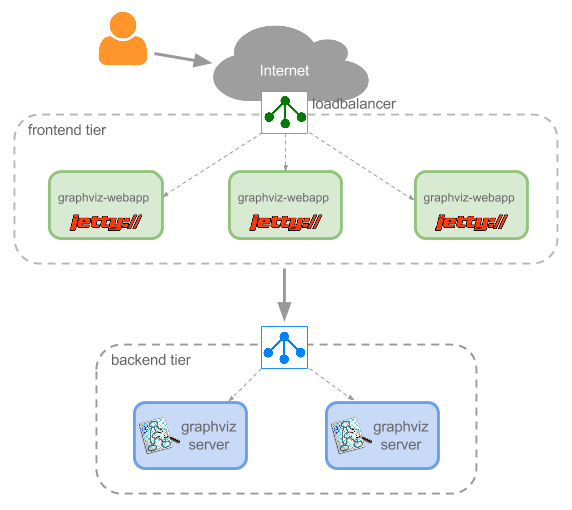 The cluster also has two backend containers that run a simple HTTP server and have the Graphviz application installed. Graphviz is a powerful open source graph layout and visualisation tool. The graphs are specified in DOT language, which is a plain text graph description language. You can try out a non containerized version of the web app here. The user pastes their DOT text on the frontend and clicks ‘Render Graph’ button, this fires an AJAX call to the Jetty server which sends a request to one of the backend graphviz-servers to render the graph. The final graph in SVG is then rendered to the user. You can skip this section on first read, but I thought it’s worth mentioning. 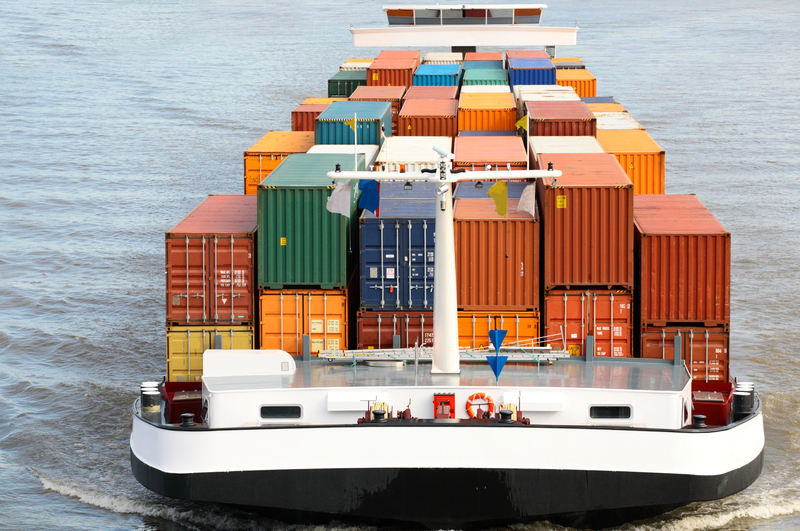 As people started to use containers more often to solve particular problems there was a desperate need for some sort of patterns that can be reused to address particular container challenges. Think the “Gang of Four” design patterns for software development. Also you might be asking yourself, if our frontend container image is using the best approach?, after all the Jetty server and the WAR file (Web Archive) are both lumped together in the same image. This means each time we have a new WAR file we have to a build a new image, it would be nice if we can separate the WAR deployment from the Jetty container so that it’s reusable. Enter container patterns, in this case we could use a “sidecar” pattern to address this problem. The Kubernetes examples include a similar example to ours with a sidecar container for deploying the WAR file. There is also a great post on the Kubernetes blog explaining some of these container patterns. Ok, let’s get started. First we head over to the Google Cloud Console and create a new project. Then from the Gallery menu on the left hand side we make sure to visit Container Engine and Compute Engine services, this will automatically enable their APIs. Then we click on the Cloud Shell icon on the top right to activate it. For an introduction to Cloud Shell see my previous post. By default if we do not specify the number of nodes and their types, then Container Engine will use three n1-standard-1 (1 vCPU, 3.75 GB memory) Compute Engine VMs for the cluster. The cluster nodes are simply Compute Engine VMs so we can SSH to them and see them in the cloud console. The Kubernetes Master however, is managed by Container Engine and we can not SSH to it. But, we can connect to a Web UI on the master as we will explain shortly. If you were deploying a Kubernetes cluster yourself then you need to manage both the Master and the nodes. When using Container Engine the master is automatically managed for us. As you can see, the details contain the Kubernetes Master URL and other URLs for various Kubernetes services, one of which is the KubeUI which is the Web UI running on the Kubernetes Master. Before we have a look at the UI, you might be asking yourself how the kubectl command is able to find our current cluster. The kubectl command expects a .kube directory in the user’s home folder with a config file. Google Cloud SDK has already created a config file for us in .kube/config with all the details needed by kubectl to interact with the cluster. backend-controller.yaml – Replication Controller “backend-contr” for the backend Pods, this will deploy two Pods. frontend-controller.yaml – Replication Controller “frontend-contr” for the frontend Pods, this will deploy three Pods. backend-service.yaml – Service “backend-service” to load balance the backend Pods. frontend-service.yaml – Service “frontend-service” an external load balancer for the frontend Pods that allows Web traffic. The files have many comments explaining the various parts so we won’t explain the contents of these files in this post. 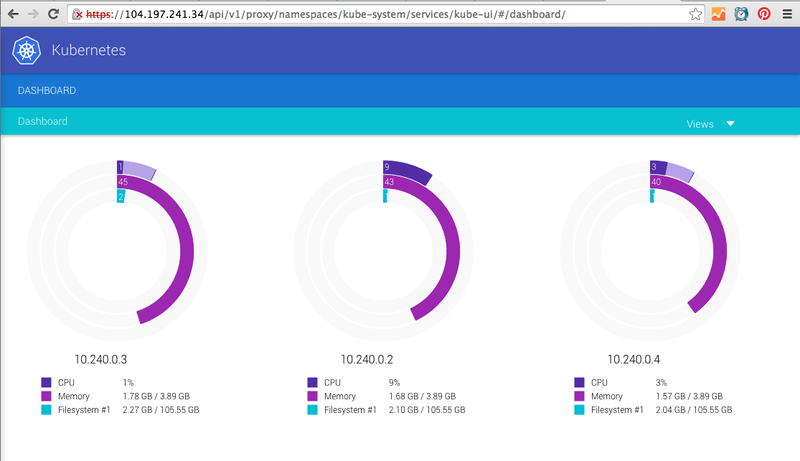 Looking at the Kube-UI dashboard it seems like the two Pods are created on Nodes 1 and 3, as evident from the memory usage on these two nodes and their previous CPU utilisations. The Pods view also shows these two Pods and the nodes running them. We now deploy the frontend Replication Controller and Pods. Now let’s deploy the backend service to facilitate DNS name resolution and load balancing between the two backend Pods. In our frontend container the Web app running on the Jetty server simply uses the following URL to refer to the backend server “http://backend-service/svg”, we expect the hostname backend-service to resolve to a reliable IP address that can be used by the frontend. Let’s login to one of the frontend Pods to double check that the frontend containers can actually resolve the DNS name ‘backend-service’. We SSH to any of the nodes since all the 3 nodes are running a replica of the frontend Pod. As you can see the hostname ‘backend-service’ have nicely resolved to an IP address 10.91.245.125 that the frontend containers can use. This is one of the key capabilities provided by Kubernetes Services. The frontend service will create an external load balancer to allow Web traffic to the frontend (Pods) web apps. This is external to Kubernetes and is created as a Compute Engine load balancer. The “LoadBalancer Ingress” shows the external IP address of the load balancer. Also if we navigate to the Network section on the Google Cloud Console, we will see that a Network load balancing entry has been created. Now the cluster is fully deployed as shown in our initial diagram. In this step we will verify that load balancing will actually take place, not just between the frontend Pods, but also the backend Pods. Luckily all the applications deployed on the frontend and backend Pods do output some logs when accessed. We can interactively tail these logs to ensure there is some load balancing. Here is the webpage we get when we hit the load balancer external IP address, the webpage is loaded from one of the frontend Pods. 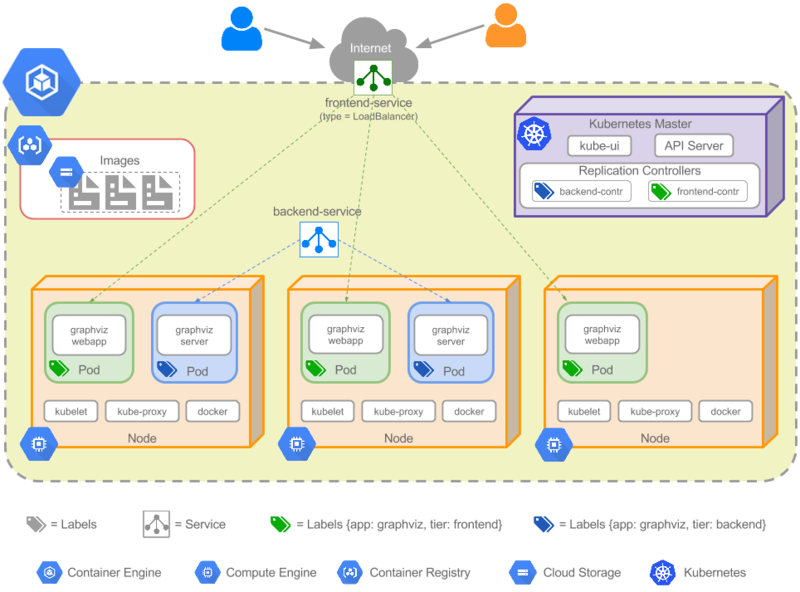 In this post we described the deployment of a Kubernetes cluster on the Google Container Engine for a multi-tiered Web application. Now you are ready to migrate your own applications to containers and deploy them on Google Container Engine. 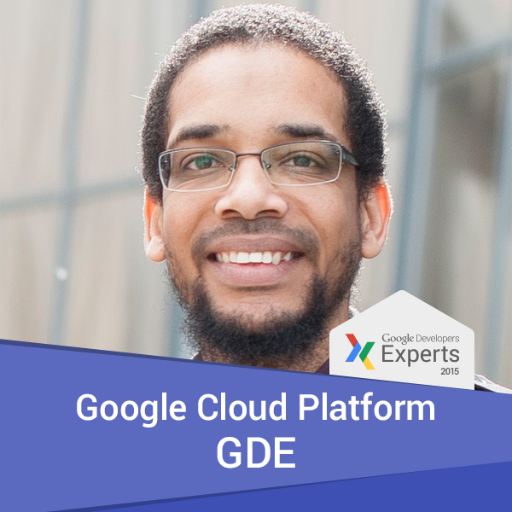 Alternatively, you can continue with tutorials on the Google Container Engine documentations to deploy a variety of other applications. This awesome codelab on developers.google.com is also worth a try. If you have any comments or queries feel free to leave a comment or tweet me. This entry was posted in Cloud, Infrastructure, Kubernetes and tagged Docker, Google Container Engine, Kubernetes on 02/01/2016 by Omer Dawelbeit.